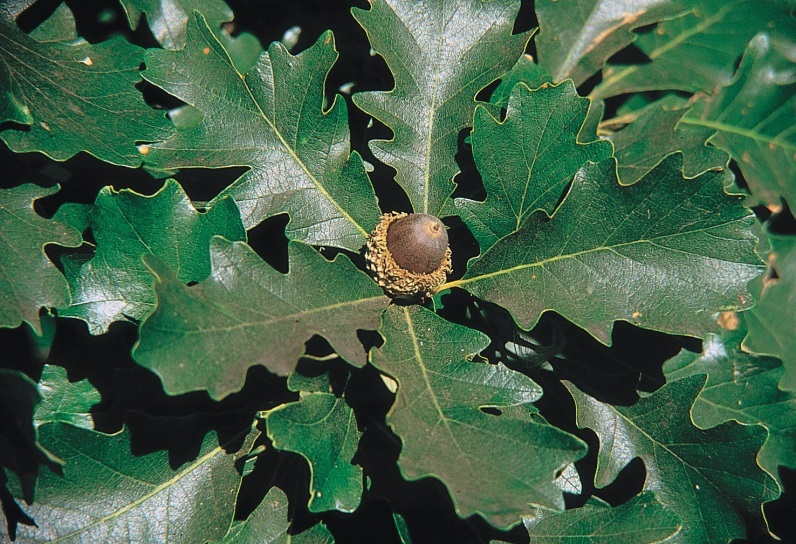 Quercus macrocarpa is a tree to 24 m; bark light gray, rough, (white oak group, subgenus Lepidobalanus) deeply furrowed. Leaves alternate, deeply lobed to 25 cm long, widest above middle, lobes 4-7 per side, blunt, often with secondary blunt lobes. Fruit acorn to 4 cm thick, cups bowl shaped, often covering most of nut, scales fringe-like (similar to Q. cerris), hairy, nut fairly short, wide. Origin: Mostly originating in Midwest, west and sometimes northeast of NYC region (Maine). Habitat: Almost always planted. Trees in Bronx Park may have produced a few seedlings. Soil pH 4.5-7.5, moderately tolerant of shade (USDA, NRCS 2010).